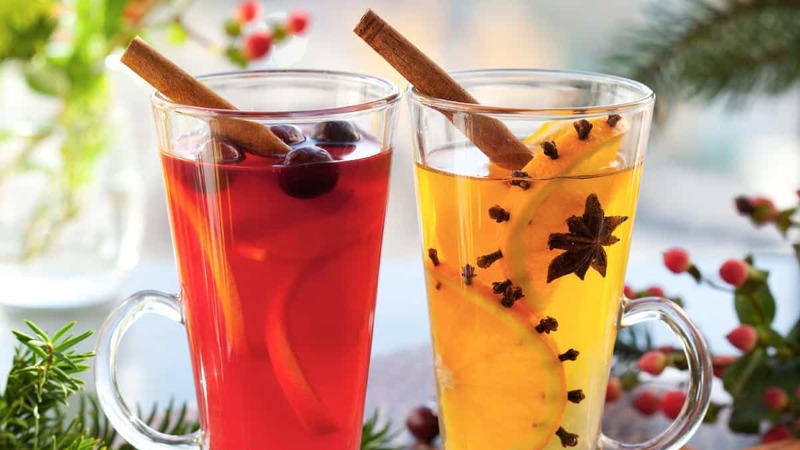 Looking for Christmas drink recipes to fill you up with festive cheer? Fit for a king, Mahogany is a feasting libation drank over the festive season. This sweet and dark recipe is thought to have been concocted by Cornish fishermen in need of a ‘pick me up’ and involves the slow mixing of gin and treacle. It’s said that the better the quality of gin (aka mother’s ruin) the better the quality of the Mahogany. This famous old drink was also known for its medicinal properties and was believed to help relieve the symptoms of gout and indigestion. Gin was a much-smuggled contraband during the 1700s; hauled up on secret smugglers’ coves up and down the West Country coast and carted away down green lanes under moonlight. Dark beer, demerara sugar and fortified sailors’ rum are the key ingredients to the ‘age-old Cornish drop’ known as Shenagrum. A favourite among Wassailers and Guise Dancers, this midwinter ‘hooch’ has helped lubricate West Country festivals and feast days for centuries. It’s topped off with a twist of lemon and pinches of cinnamon, nutmeg and ginger; one of its better-known recipes even featured in a 1930s cookbook compiled by the Cornish Women’s Institute which insists upon only the darkest of beers! A classic smugglers’ drink, Shrub was originally distilled from Devonshire herbs and spices and was commonly mixed with dark rum by returning sailors to rid themselves of the taste of sea salt. Guaranteed to warm up the coldest of winter evenings, Shrub also partners well with brandy or French cognac (aka Cousin Jackie, smuggled in to the West Country by the barrel load during the 17th and 18th centuries) and was often used to mask smuggled spirit consignments that had turned ‘brackish’ during rough and perilous sea crossings. It’s often infused with fruit juices – particularly lemons – and was drunk by mariners in an attempt to avoid ‘the scurvy’, and for that reason it be a ‘proper’ West Country sailors’ grog, particularly when a measure of rum is thrown in. Pour mulled ale over hot apple puree and you’ve got yourself a serving of Lamb’s Wool – a once popular way to use up some of the runts and leftovers from a late apple harvest. This traditional sweet winter warmer has picked up some variations over the centuries, but the fluffy apple puree – from whence it gets its name – remains its vital ingredient. Nutmeg, ginger, sugar, and sometimes crab apples, all help to concoct this ancient cottagers’ bracer, usually prepared in a kettle as a special treat for farm labourers, and which also features in a verse from Robert Herrick’s Twelfth Night (c1648). Our final winter’s tipple earns its name from a medieval tradition known as ‘wassailing’. Warm your beer on the stove, add in some sugar, nutmeg, ginger and cinnamon, and you’ll have a steaming pot of Wassail ready to serve to the festive carol singers at your doorstep. The ingredients were all left to infuse for several hours and ladled up with a toasted cinnamon-slice of cottage loaf, sung for by those less fortunate. 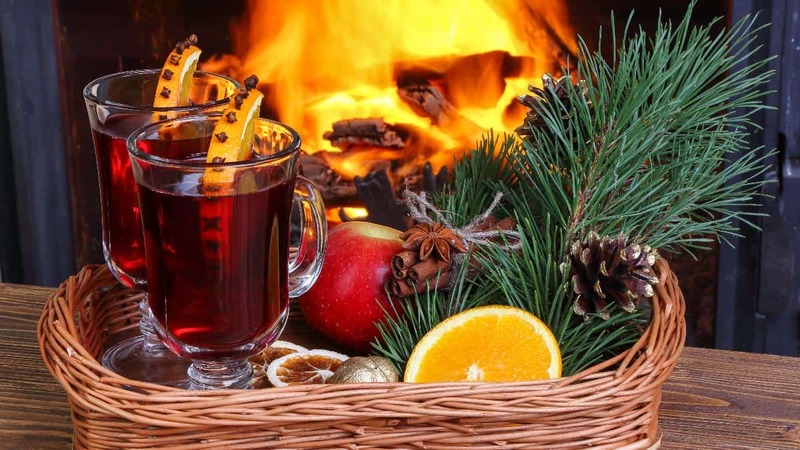 ‘Wassailing’ was traditionally performed on the Twelfth Night, although some people still wassail on “Old Twelvey Night”, January 17th, as it would have been before the introduction of the Gregorian Calendar. The tradition began as a gesture of goodwill and blessings between feudal lords and their peasants and is believed to help explain the origins of the classic English doorstep carol ‘We Wish You a Merry Christmas’. Why not hunker down for winter in one of Toad Hall Cottages’ cosy, countryside retreats? Have a look at some of our seasonal offers and see why we’re ‘the toast’ of the West Country.